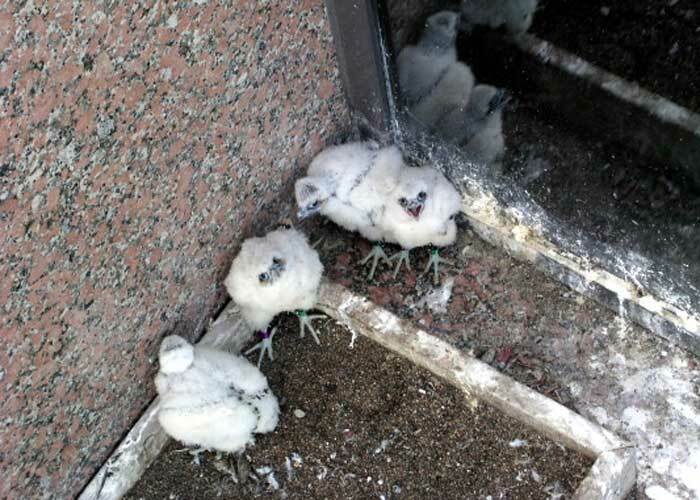 Peregrine Falcons have adapted to nesting on tall buildings in cities, such as the Colonnade building along I-394 in Minneapolis, MN. 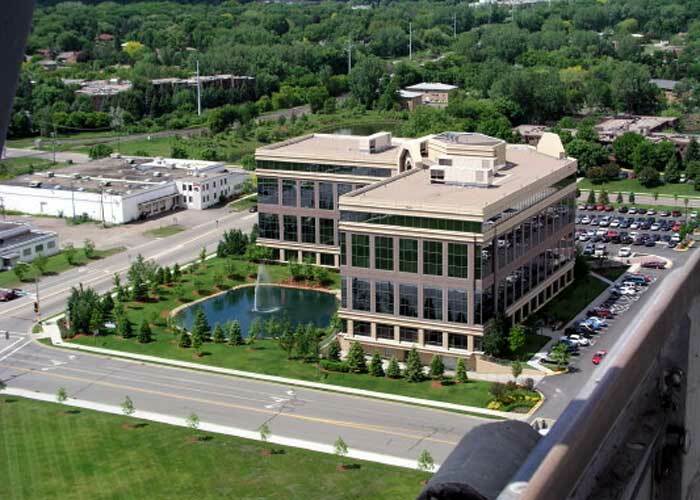 To band the chicks on buildings, it often requires using existing resources, such as window washing equipment. 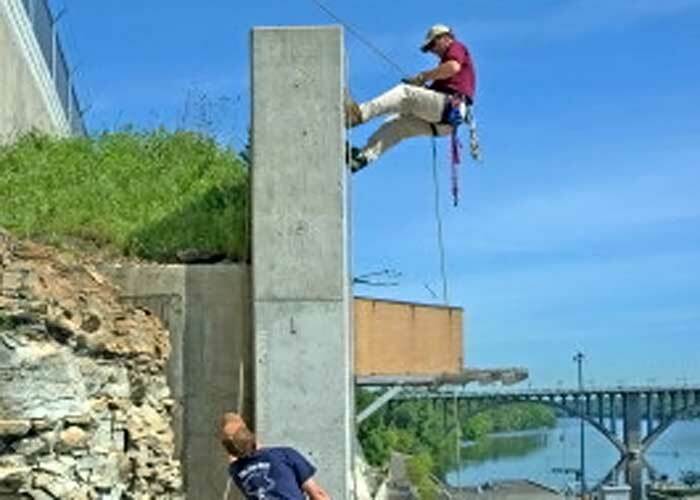 Peregrine Falcons use existing building ledges for nesting, but we often supplement the ledge with a shallow-lipped nest box filled with pea gravel. Boxes help prevent eggs from rolling off the ledges. 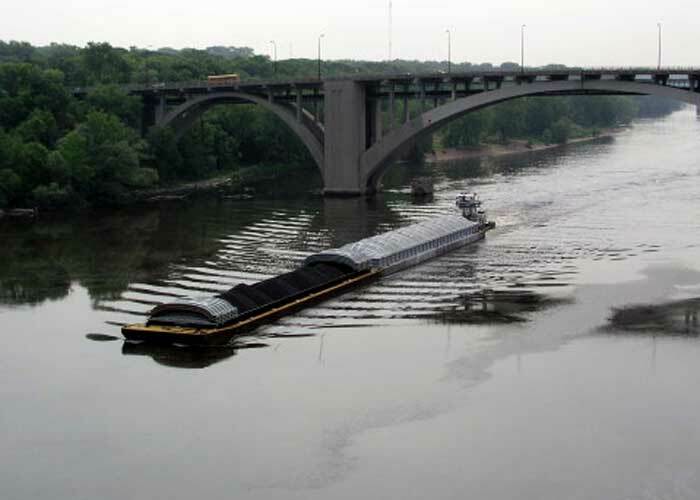 Peregrine Falcons have also adapted to nesting on bridge structures, such as this bridge over the Mississippi River in Minneapolis, MN. 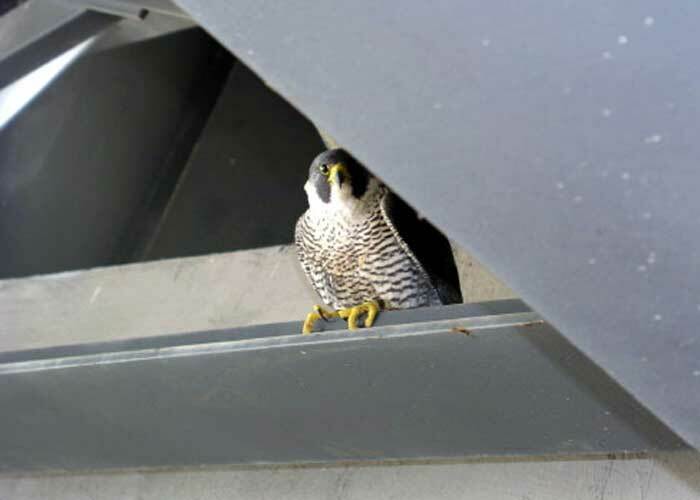 The nesting locations that Peregrine Falcons select on bridges often present unique banding challenges. This is a female falcon. 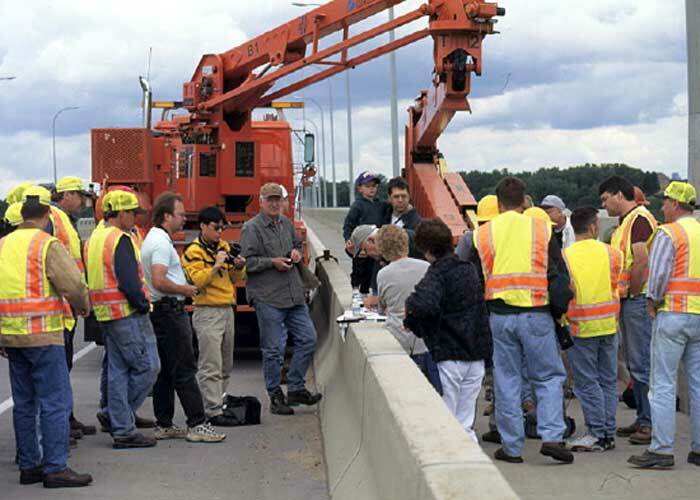 Banding birds that nest on bridges often requires the use of substantial equipment and a large crew of helpers. 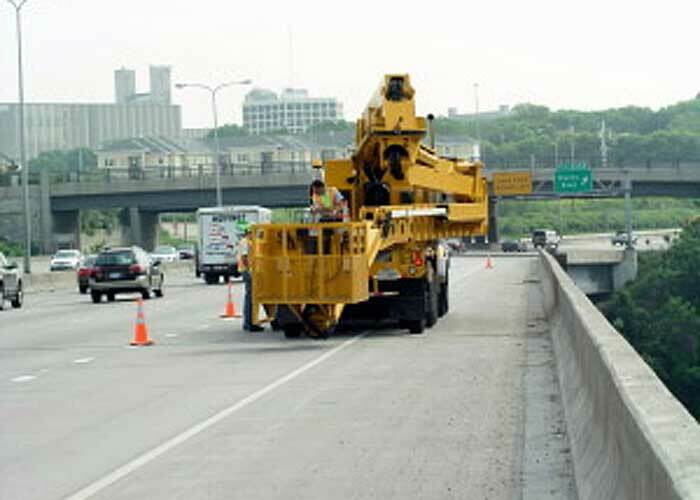 It also requires the permission of governing agencies, such as in this case, MnDot (Minnesota Department of Transporation). Safety is of paramount importance. This is Harrison (Bud) Tordoff gearing up before going over the edge of the bridge. 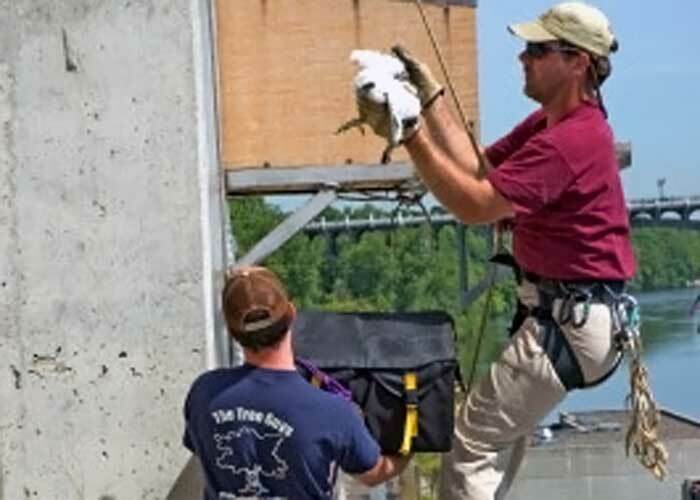 Banding Peregrine Falcons is not for the faint of heart. And this is what we often find under the bridge deck, four chicks, approximately 21 days old. The chicks are then temporarily taken to the bridge deck for banding before being returned to their nest site. 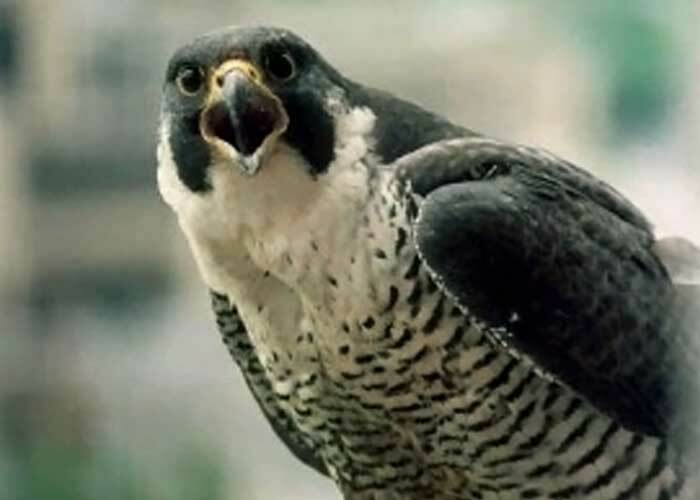 Sometimes Peregrine Falcons nest in more natural sites, such as on cliffs along rivers and lakes. 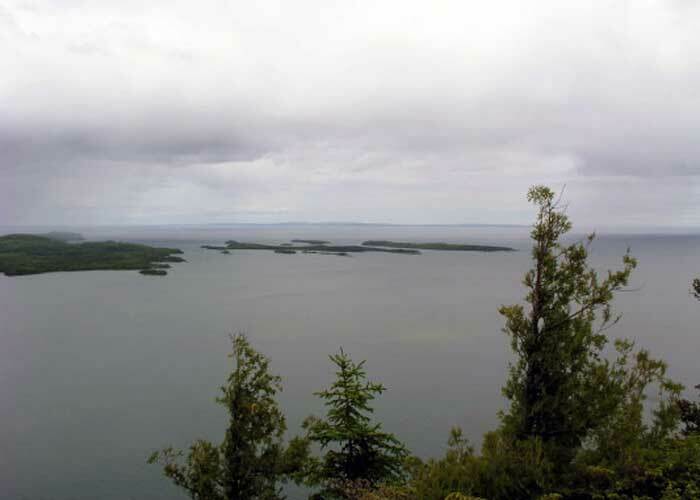 This is a view of the Apostle Islands in Lake Superior. The views that Peregrine Falcons have is often spectacular. 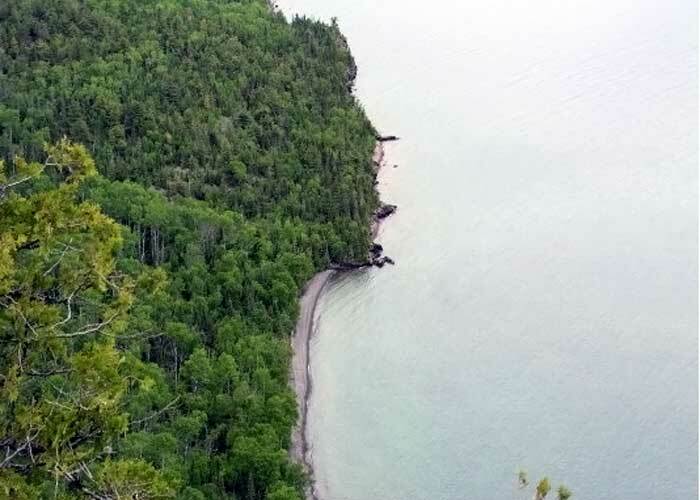 Hat Point, Lake Superior. 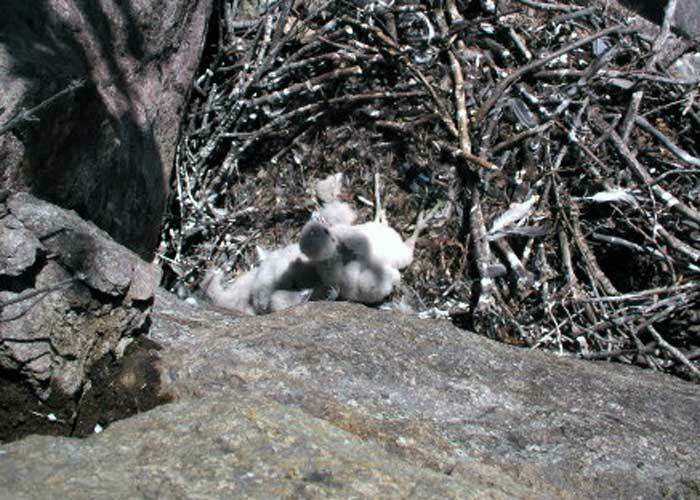 Nest sites on cliffs are often difficult to access. 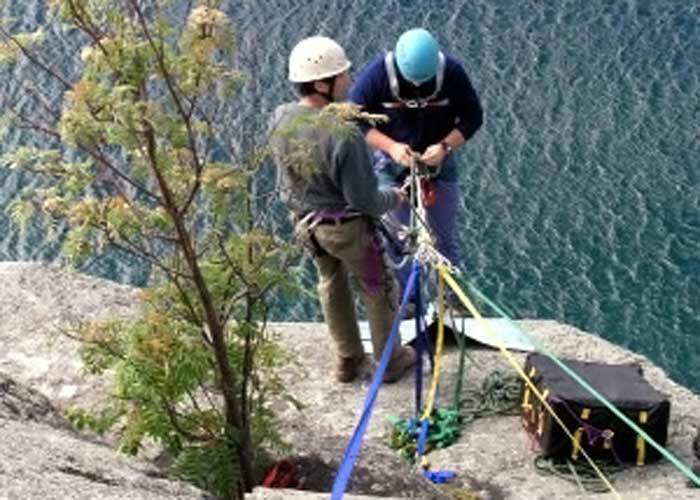 Gearing up to climb a cliff site. Again, safety is a primary concern. 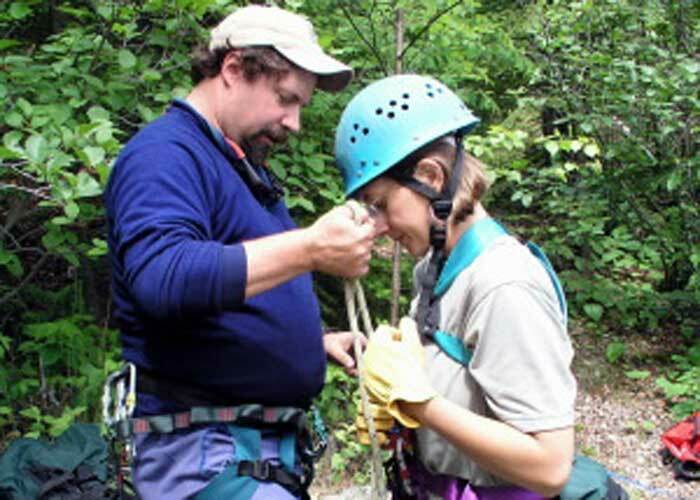 The volunteer climbers often climb for a profession and are extremely experienced. 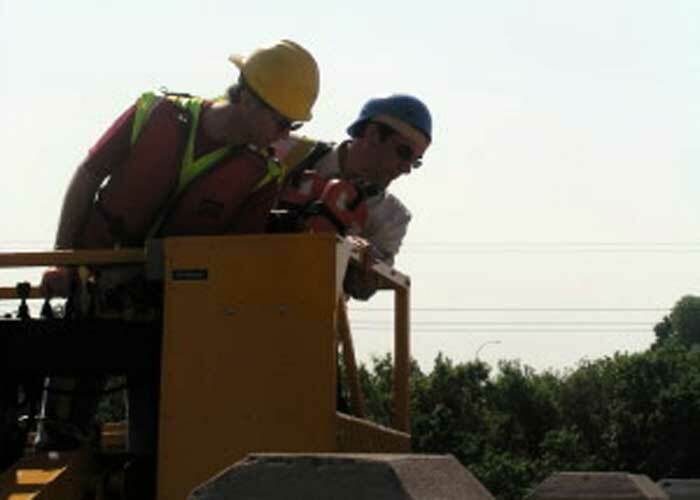 This project could not take place without their services. 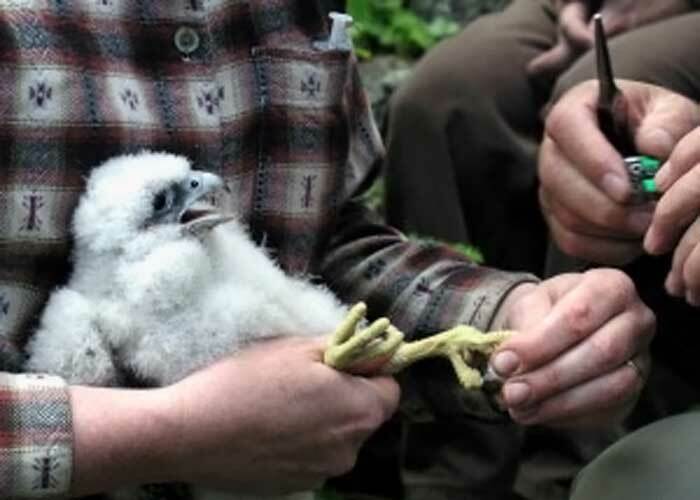 Banding Peregrine Falcons on cliff sites is again not for the faint of heart. This is the view from the climbers as they approach a cliff site from above. On this cliff site, the Peregrine Falcons are using an abandoned raven nest. 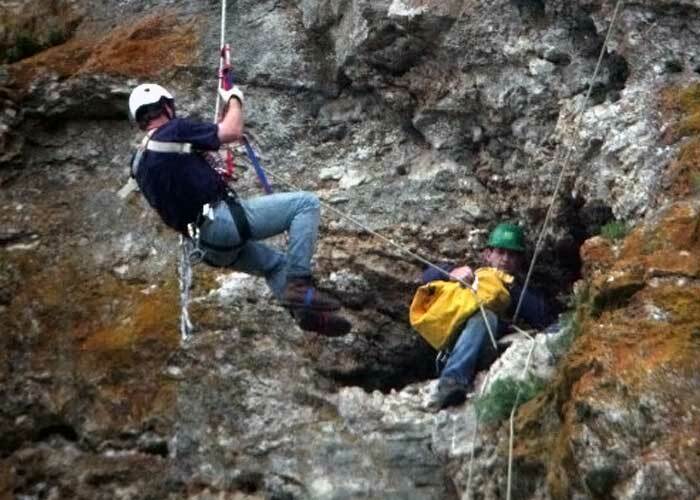 Jim and John reach a cliff nest. 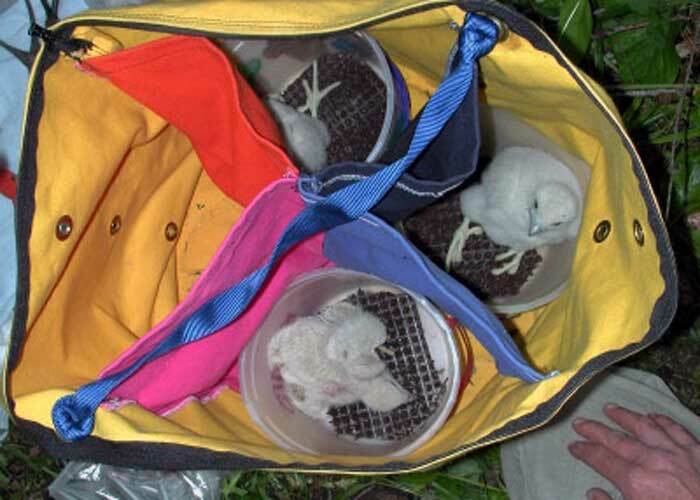 They will collect and safely package the chicks for a ride to the top for banding. Safely banded, the chicks are returned to the cliff ledge they call home. 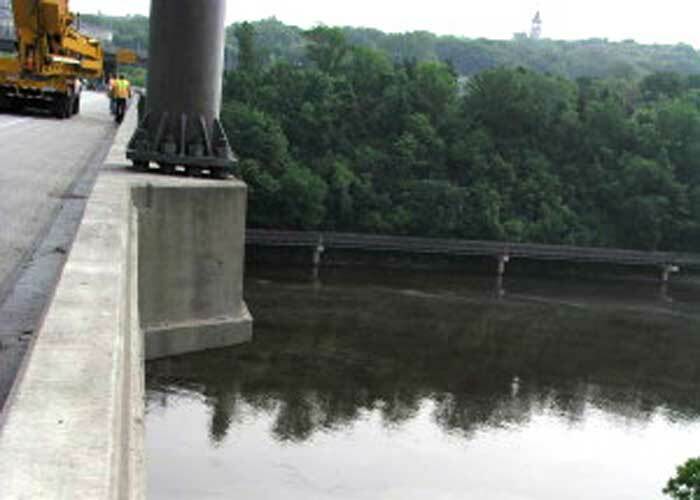 This is the Lock and Dam No. 1 nest site along the Mississippi River in Minneapolis, Minnesota. 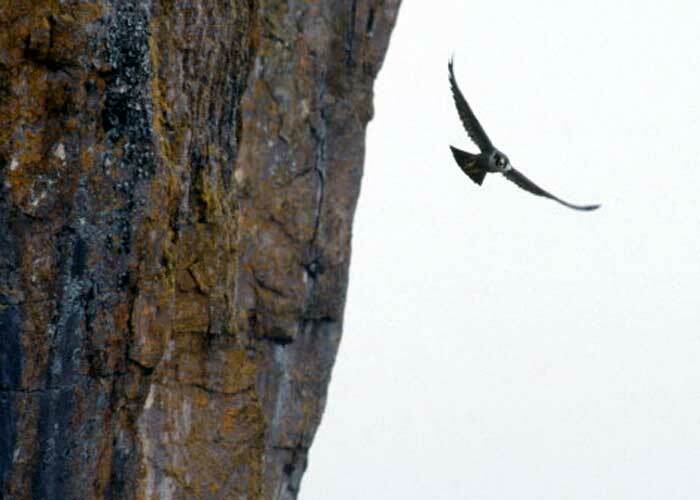 A nest box was attached to a concrete wall at the top of the cliff. 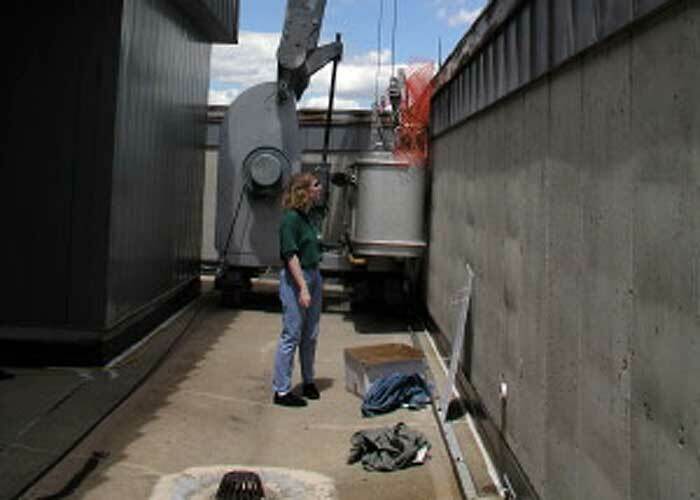 Again, professional climbers reach the nest box, and safely load the chicks into a specially fabricated transfer case. The chicks are then lowered to the ground for banding. This is the specially designed transfer case for the falcon chicks. Each chick is placed into a separate compartment for a safe journey. Bud Tordoff preparing to band and draw blood from a peregrine chick. A small sample of blood is drawn from each chick for use in studying the genetics of the recovered Peregrine Falcon population. Once a blood sample has been drawn the metal bands are attached. 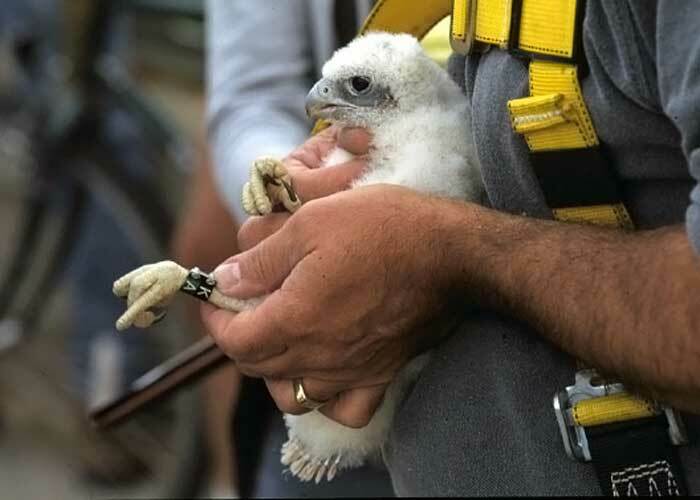 A US Fish and Wildlife Service band is attached to one leg, and a colored and numbered band to the other leg. 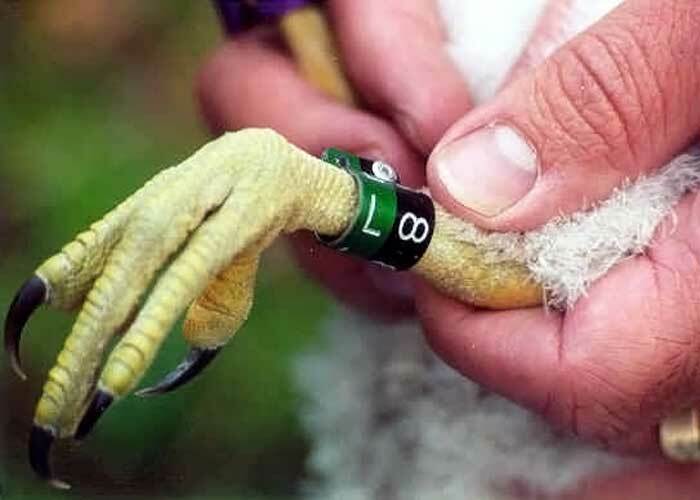 The colored and numbered leg bands help provide identification of individual birds in the field. 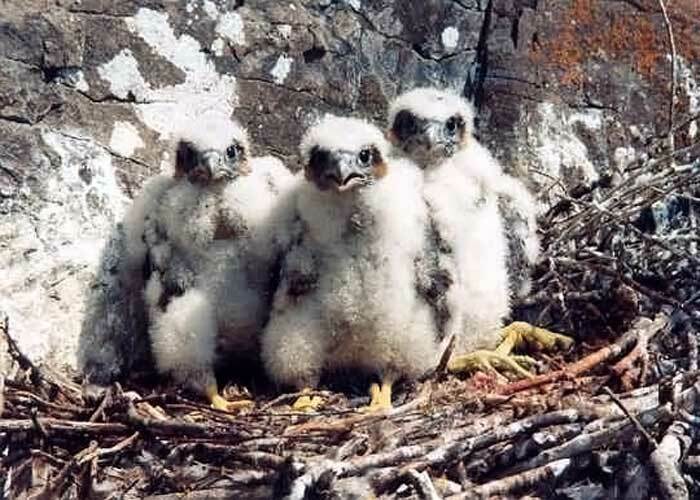 Male and female peregrine falcon chicks have different size feet and legs, therefore two different sizes of bands must be used. Female chicks get the larger sized bands. One final check and back to the nest. 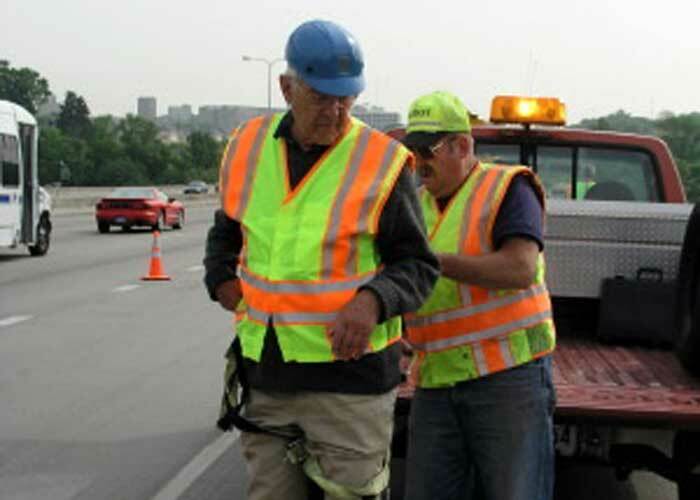 Bands must be checked to ensure they are properly attached, i.e., not too tight and not too loose. 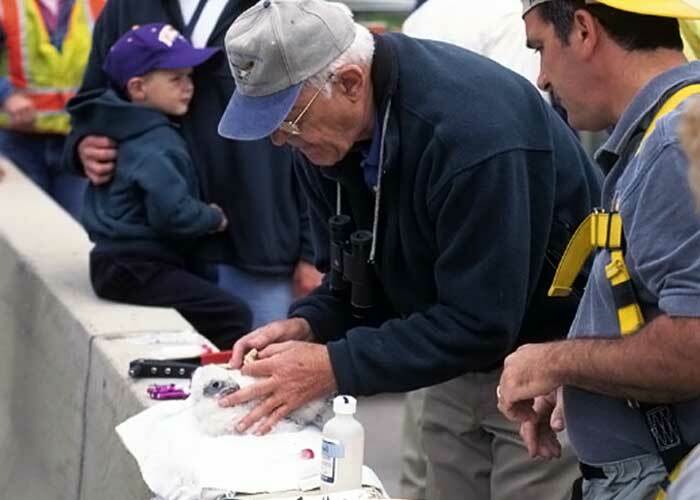 One can only guess what the adult Peregrine Falcons think of this banding operation. 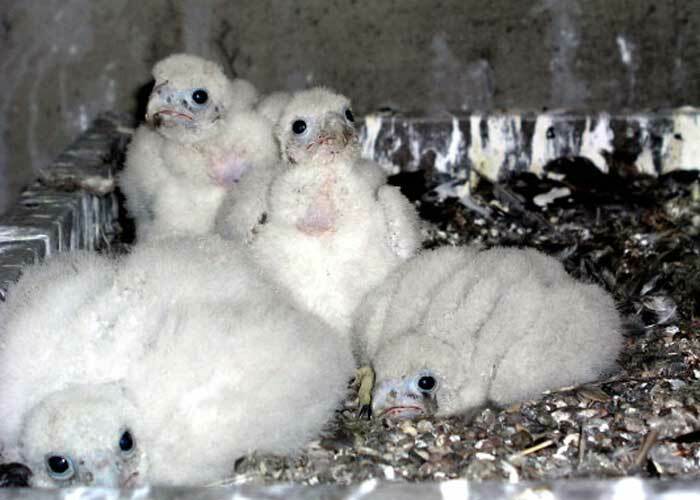 Download the Midwest Peregrine Society brochure. The brochure is a PDF file and can be printed as a tri-fold handout. 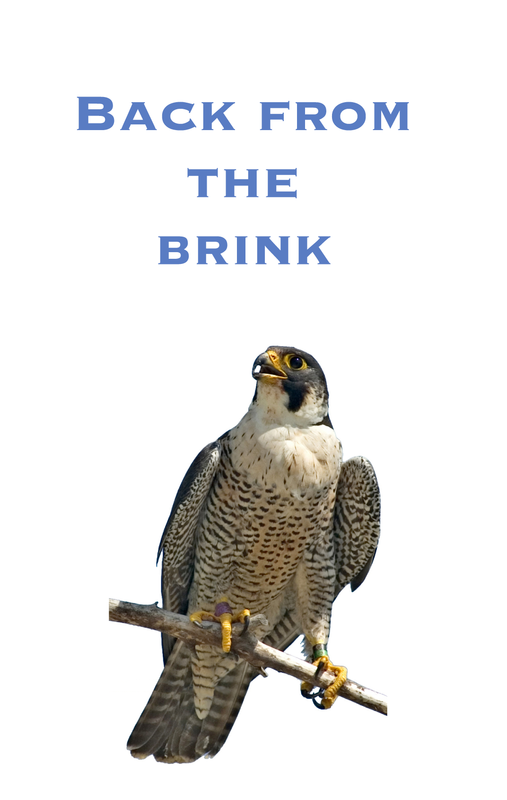 © 2019 Midwest Peregrine Society. All rights reserved.